Meet this month's Book Doctor... Adam Kay! 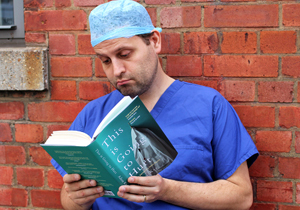 Adam Kay, author of This is Going to Hurt: Secret Diaries of a Junior Doctor, has picked five questions – sent in by Caboodlers just like you – to answer. 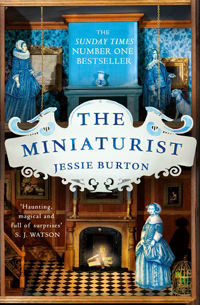 Who doesn’t love a book with a twist? You’ll be glad to hear I’ve got a medicine cabinet full of them. For more twists than Chubby Checker playing Twister, work your way through Chuck Palahniuk: not just Fight Club (though you should totally read Fight Club) but also Rant and Diary. 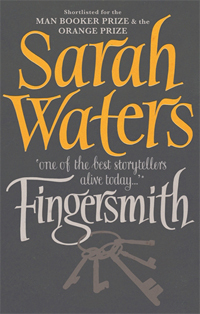 Then crack on with Gone Girl by Gillian Flynn, if you’re the only person in the world who hasn’t already read it, Fingersmith by Sarah Waters and Atonement by Ian McEwan. I’ll see you for a repeat prescription when you’ve got through all those. Well, they do say that laughter is the best medicine. They’re wrong of course, medicine is the best medicine, but laughter certainly still has its place. Because comedy’s such a very personal thing, I’m often nervous about recommending a funny book, but I defy you not to fall in love with David Sedaris – When You Are Engulfed in Flames and Dress Your Family in Corduroy and Denim would be an excellent starter pack. Personal favourites I’ve read countless times and had the same joy from every time are What a Carve Up! by Jonathan Coe, The Secret Diary of Adrian Mole Aged 13¾ by Sue Townsend and The Code of the Woosters by PG Wodehouse. I could go on forever, but I’ve got a word count to stick to. What’s wrong with being comfortable? You don’t throw away your favourite sofa and replace it with a load of elbows upholstered in sandpaper. Basically, read what you want, not what you think you should. If you want to explore further, then perhaps start by looking at the fringes of what you enjoy. For example, there are lots of wonderful books capturing everyday life but also with their share of sadness, rather than the fuzzy ones you’re currently reading. The Accidental Tourist by Anne Tyler, say, or Olive Kitteridge by Elizabeth Strout. 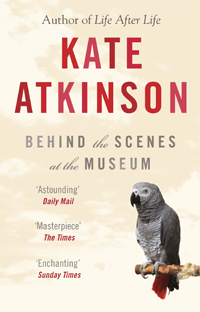 How about Toast by Nigel Slater or Kate Atkinson’s beyond-sublime Behind the Scenes at the Museum. If you’re getting bored by those then you should probably pop to your GP for a blood test. If you’re struggling to sleep, then far and away the best genre of book for you is terrible fiction. Nothing like wading through agonising GCSE-standard swamps of turgid description to send you drifting off. 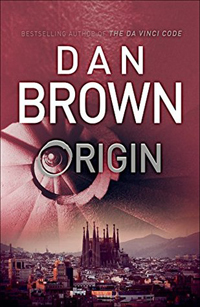 I therefore prescribe any of the Dan Brown back catalogue. Find them in any good bookshop in the General Anaesthetic section. 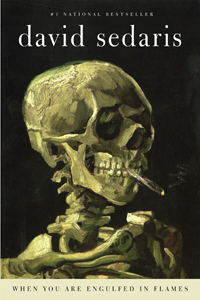 (Editor's note: All opinions in the above piece (including any pertaining to Dan Brown!) are those of the Book Doctor).